When you enter the world of hacking, you would know that almost every basic tutorial that you would search on the net won’t be possible without a Good Internet Connection. Today we can find ourselves surrounded by a lot of Wi-Fi networks everywhere. So, anyway of accessing them will be surely useful and if you are here, for this reason, my friend, you are at the right place. In this article, we will discuss 15 apps for Android that can help you gain access to the nearby Wi-Fi networks, be it a nearby Network or the one owned by your neighbor. Before we start I want you to know that these apps exist for other platforms too, but I feel that an android phone is more remotely accessible for us and hence the need for this article. Also, note that you should try these apps only on your network or on a network that you have access to. I won’t be responsible for any damage done to you or anybody else’s data. One of the most reliable, and trusted app by many Hackers. This app is also available on the Ubuntu platform and is widely used over there. Since both Android and Ubuntu are both based on Linux kernel hence this app was thought off, designed and ported by Android Developers and Enthusiasts at XDA Developers. Now if you don’t know how to install Ubuntu, please search YouTube, you will find ample of tutorials which are efficient, quite easy to follow. Kali Linux is one of the most popular Linux Distro for ethical hacking purposes when it comes to Desktops. Kali Linux was founded by Mati Aharoni and is currently maintained by Offensive Security PVT. Limited. What makes it special is that this is the first open source android penetration testing platform. 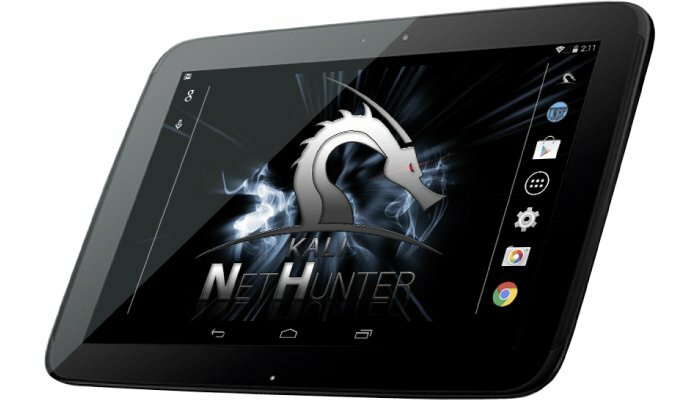 For using Nethunter, you need to launch Kali’s Wi-Fi tool to go ahead with the process. Nethunter’s simple configuration process will help you in overcoming the problem with configuration Files. It needs a custom kernel, which supports 802.11 wireless injections. Thus, Making Kali Linux a Must Have app. The Disappointment Here is that the kernels which are provided with Android Phones by default don’t support 802.11 wireless injections, so unless some Android Developer for your phone develops a custom kernel with the aforesaid requirement, you can’t use this tool. However, there is a list of Android Devices which are officially maintained by Offensive Security for Active Development in Kali Nethunter. 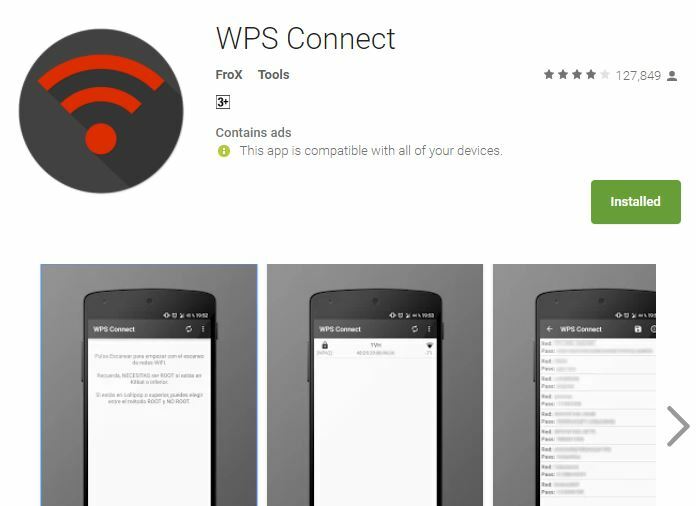 The Wi-Fi WPS WPA tester is developed by Saniorgl SRL and is the first app in the list that is available on the play store, making it one of the most popular Wi-Fi Hacking Apps. The intention of the developer for making this app was to scan the vulnerabilities found in the Wi-Fi Networks. Just for a note, you will need a lot of patience. Try out this awesome app and crack down some WIFI networks by directly downloading from the play store. Nmap is a network security scanner which is available for various operating systems. It is also available for Android. It is used by ethical Hackers for network exploitation and Finding Vulnerability. One of its advantages is that it works on both rooted and non-rooted phones. Like WiFi WPA WPS Tester, you get more features on rooted phones as compared to non-rooted ones. This is a great app for your Android device. This app helps in scanning networks for finding ports and system details just like dSploit. It is open source so you get all the latest Updates fast free of cost. It supports on almost all the devices. To summarize it is a Mix Combination of dSploit and WiFi WPA WPS Tester. Arpspoof was written as a part of the dsniff package. The author Dug Song has ensured further development of his app by making it open source. This app is mainly written for network auditing. The app works on a simple mechanism. What it does is it redirects the packets on a local network by broadcasting spoofed ARP messages. Arpspoof also displays the packets that the victims are sending to the device, but it doesn’t save them. Arpspoof tries to redirect the traffic found on a local network with the help of a mechanism called “Faking ARP replies” and in return sending them back to a specific victim or to all the hosts found. The disappointment here is that the UI of the app seems very outdated. You will definitely need root to use this app. Wi-Fi inspect is similar to apps like Wi-Fi kill and NetCut but it’s UI is one of the best in the similar apps. It can search for you how many people are connected to the network and You can check their IP and what devices they are using it on. You can also block their Network usage directly from your app. It is so fast that in a few seconds you get the complete list of the users. The design is so simple and that is the factor behind the smooth functioning of the app. The app supports many languages. The app is able to detect whatever device is connected to your Network whether it is a TV, laptop, Mobile, PS, XBOX, etc. You also get to know the MAC address and the Manufacturer of the devices connected. So don’t let your Neighbours enjoy any share of your hard earned money and Block them all without any warning. And yes this app to supports the oldest of the Android platforms. If it doesn’t work, then make sure you have successfully allowed it the root access. Similar to dSploit, Network Spoofer lets you change websites on other people’s computers or phones or any other internet accessing device from an Android Phone. This is not a Wi-Fi Password accessing or changing tool or a Hacking tool but a spoof tool. After downloading all you have to do is simply to log onto a Wi-Fi network and select a type of spoof to use and then press start. Even though this is not exactly a type of penetration testing tool but it can still show you how difficult or easy can be to hack a particular network with your Android Smartphone. 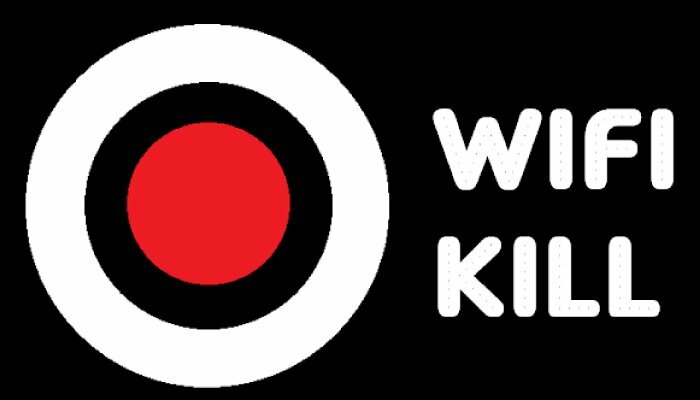 Wi-Fi Kill is an open source app. This ethical hacking app is very similar to an app called net cut in Windows OS, this app is capable of cutting off anyone’s Wi-Fi over your network. The simple and user-friendly interface makes this app very popular in this field. This app is extremely useful when you have an open Wi-Fi or WPA based Wi-Fi network not protected by a strong password. You can cut off the Wi-Fi of the intruder by just a few clicks on your device. What makes this app great is that it is very easy to use and even a Newbie can find it extremely easy to use owing to its lucid and interactive interface and easy-to-use tools. Using this app, you can also see what another user is browsing and downloading in your Wi-Fi network. You can also monitor the amount of data being accessed by a particular user on the network. You can also find out the name of the company of a Particular victim using the same Wi-Fi. This app is extremely popular because of its simple and efficient UI. This app also has the same functionality as Wi-Fi Kill. NetCut has been a very popular app for the windows platform and arcai recently launched it for the Android platform. The advantage it offers over WIFI Kill is that it can protect your Wi-Fi from other NetCut Softwares but such features require a paid subscription. You have full control to Block anyone on your Wi-Fi network. The UI of Arcai.com ‘s is better as compared to WIFI Kill but the advertisements are quite annoying and is a disappointment, even though you are given the choice to opt for Premium Subscription. WIBR+ was also created for testing the integrity and security of Wi-Fi networks. This App uses Brute force and Dictionary Based methods for helping you and answering questions like “How to Hack WIFI networks”. You can also use custom dictionary methods to attack and find WIFI passwords. Depending upon your priority and the type of network, you can choose different options such as numbers, lowercase, uppercase, and special characters – for performing a different dictionary-based attack. Depending upon your password strength, WIBR+ takes time to crack the password, so this a Face Down for this app. When it comes to hacking Wi-Fi, WPS connect comes in my mind because the ease it provides to the users to use this app is outstanding. If you are looking to check the security of your Wi-Fi network, then believe me this one is a good choice and you will love using it. Most probably you will be successful as this app supports maximum no. of routers and that increases your probability of successfully breaking into a Wi-Fi network. To use this app is simple as it looks. Just download the app, and crack networks with vulnerabilities. This app actually targets those networks which are easily vulnerable using some of the default PIN combos. Mostly major of the routers are vulnerable and if the user is a noob, a probability of you in getting success becomes really high. As I already mentioned This article is for Educational purpose only so don’t try to hack your neighbor’s Wi-Fi or you can be in trouble although you can check the security of your own Wi-Fi using these apps. And this app definitely needs root access and if your device isn’t rooted it you can root it easily. Just search for ‘How to root <Your Device’s Name>’ and you will get many tutorials. 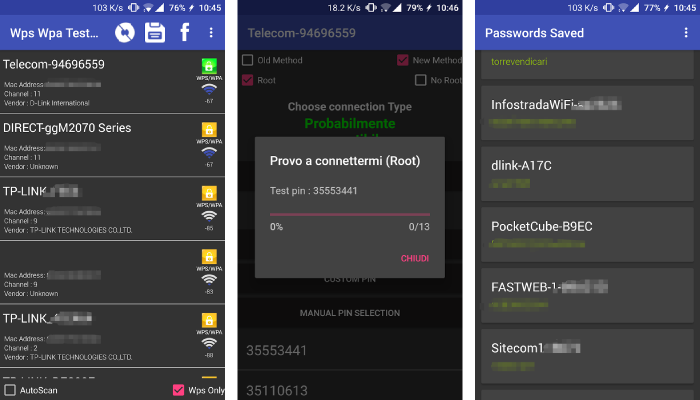 zANTI is a mobile penetration testing Hacking toolkit for android that helps you to find out the amount of vulnerability of your WIFI network. The App interface is Simple and Fluid. 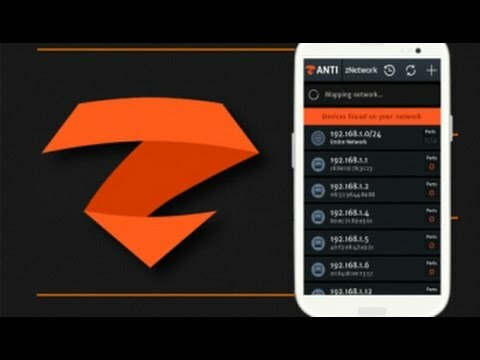 zANTI Penetration Toolkit is very easy to use because of its simple UI and thus it enables IT Security Administrators, Ethical Hackers and other types of users to simulate and find out an advanced attacker that can get access to the network and thereby try to identify the malicious tools or techniques they can use in the dark side without being visible to compromise the corporate network. Fing Network Tools, just like zANTI helps in finding out and analyzing more about your network. This app requires root access to your android. It helps you find out what all devices are connected on to your Wi-Fi network in just a matter of few seconds. This app is very simple to use, fast and yet accurate. Fing is a professional App for network analysis and is used by Security Analysts and all type of Hackers and at all levels. A simple, fluid and an intuitive interface help you evaluate security levels for your WIFI and then detect intruders or attackers and ultimately block them or resolve your network issues. Now there might be a lot of Android apps that can help you enter into a WIFI network but that process can be quite lengthy and time taking. It becomes absolutely frustrating to crack a network and ultimately finding out that it is crowded and a very slow one. So, WIFI Analyzer helps you to analyze the different type of WIFI networks that are available near you and makes graphs and data according to the network and data speeds and reliability. By doing so you can find a less crowded network with more data speed and spend your time cracking the best-suited network for you. Well, there are a tremendous number of such apps in the market that can help you to play with Vulnerable Wi-Fi networks but if I try to include them all it will be impossible. So I tried to shorten my list out and after doing research by keeping Certain criteria in mind I came up with these apps. These are some of the best Wi-Fi hacking apps that you can currently find on the market. Almost all the apps in the above-foresaid list require root access. So, a basic requirement for you is to just root your device if you haven’t rooted your Android device yet and try out all the apps that I have mentioned in this article and I can bet that you will love it if you too are a Techy geek or a Tech Enthusiast like me. Finally, I must warn you again that everything I taught you in this article is just intended for educational purpose only so try these apps just on your or your Friends network with permission if you don’t want to get into any trouble or face any kind of risk. The above list includes all the apps that can help you master at least the field of WIFI Hacking when it comes to Android. The list not only includes the apps that can help you gain access over a network but this list will also help you in finding out the various ways that you can use to protect and increase the security of your WIFI network up to the best possible limits.